Sigmet Corporation now has a blog! CLICK HERE to check it out! Have an idea for a topic for our blog? CLICK THIS LINK to send it to us! 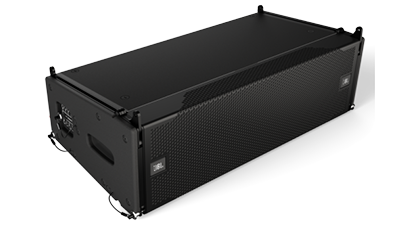 Expanding the A-Series family with a high-power more compact design, the JBL VTX A8 & B18 compact 8” line array and subwoofer provide legendary JBL VTX sound with unmatched sensitivity and coverage for the size. Compact, truck-friendly dimensions, a patented rigging suspension system, and a great software ecosystem make it the ideal solution for touring. The Ziegfeld Theatre opened in 1969 as a single-screen movie theatre. The theatre was named in honor of the impresario Florenz Ziegfeld, Jr. Between 1969 and 2016, more world premieres of Hollywood blockbuster films were held at the Ziegfeld Theatre than any U.S. movie theatre outside of Los Angeles. Building on a rich history, the Ziegfeld Ballroom opened Fall 2017 as one of the most significant event properties in New York City. The sound and lighting for the Ziegfeld Ballroom is an entirely Harman solution using JBL speakers all powered by Crown 4×3500 amplifiers. The lighting is Martin Professional. The geometry of cinema has changed dramatically in recent years. Meet the all-new JBL Professional 200 Seres Cinema Loudspeakers that bring the sound of modern cinemas to an entirely new level. The Modero X® Retractable Touch Panel is the flagship automation interface from AMX. Utilizing unrivaled industrial design that is designed to recess and hide away when not being used, the Modero X Retractable highlights the best of what’s possible with AMX technology. A unique, space-saving panel with premium automation capabilities, the Modero X Retractable is a touch panel like no other. To learn more, click here. Upstate New York, Sigmet Corporation is pleased to introduce our newest representative, Matt Massie. Matt is from the Town of Vestal. Born of a musical background, Matt took his father’s interests in music several steps farther by taking his hobby, the playing of drums, and building a career of connected fields around it. In his teens Matt developed an appreciation for the equipment that records and reproduces music. He did freelance installation of home theater systems throughout his 20s to pay for college. The logical extension of these interests was to find work in sales, which he did for a major musical instrument retailer for 7 years. Using that as a springboard, he leapt into Pro Audio eventually earning a position as the store’s Sales and Training Manager. He has since accepted a position at Sigmet and is very enthusiastic to pursue the next phase of his career. For contact information on Matt please download his v-card from the “Our Staff” page. Sigmet’s own Jim Peters made the cover of “The Fisherman” magazine with his monster striped bass! The Soundcraft Vi1000 digital mixing console represents the culmination of the groundbreaking achievements and rich feature set offered by Soundcraft’s acclaimed Vi Series—now in a more compact form factor. A line array needed to be repositioned to accommodate the addition or subtraction of a stage extension. Polar Focus provided the complete transition between the line array frame and the roof structure, including PE stamped drawings. The JBL Vertec line array speakers were the ‘DP’ version with amplifiers. Polar Focus also provided the cable festooning system for the speaker signal, amplifier power, motor power, and motor control. The CP Palm Beach Masters, presented by Sovaro™, is a leg of the Longines FEI World Cup™ Jumping North American League, which began in August 2016 and spans across seven east and seven west coast venues in three countries: the United States, Mexico and Canada. A total of 14 athletes from the new Longines FEI World Cup™ North American league will qualify for this year’s prestigious Longines FEI World Cup™ Jumping Final, which will take place in Omaha, NE. When it came to selecting a speaker for the Taylor Harris Club (a 300’ long two story VIP tent) at the CP Palm Beach Masters in Wellington FL, ascetics as well as sound quality lead us to the JBL CBT series. Having used these line array column speakers in church and school installs I knew it was the right choice for this job. The CBT 50 LA 1 in white blended in perfectly with the decor of the tent. We made a custom mounting bracket out of aluminum so we could hang 36 of the speakers from the structure of the tent. Using white speaker cable we were able to hide the wire in the troth of the upright column support of the tent. As we started to install the speakers in the tent we were getting very positive comments from the officials on how good the speakers looked and how well they blended in. and this was before we ever fired them up. This was a 4 day event with the big class on the last day. On the last day we had Johnny Rez from the Voice sing the National Anthem and before the jump off he sang one song. The comments from the audience in the tent were wow that sounded good, followed by where are the speakers? When the speakers were pointed out to them, they asked if the speakers were just added. They were there all week? Its comments like this that makes our job worthwhile. We were booked for next year’s event and are already planning on adding more JBL speakers to the outside of the tent. – Bill Fitch – Fitch Electronics Inc.
ListenWiFi is the pro audio streaming solution ideal for multi-screen, video wall, or multi-video image applications. Scalable to meet the needs of virtually any businesss or venue, ListenWiFi is simple to install and requires no monthly fees or hidden contracts for streaming audio and automatic software updates. ListenWiFi systems can accomodate anywhere from 100 to over 1,000 devices in large areas, with up to 48 channels of quality audio. Congratulation to the Sigmet South team on being named as Harman’s “Retail Rep Firm of the Year for FY2016”! Great job! Littlite® has been the leader in professional entertainment technology task lights for over 30 years . Our lights are designed and manufactured in the USA and have a limited lifetime warranty. Littlite is synonymous with high-quality and thru the years we have been refining and improving our task light system to meet the needs of users all over the world. The PRX800W Series next-generation PA with Wi-Fi technology combines legendary JBL sound and durability with complete wireless control. It’s the most advanced portable PA we’ve ever made. Wi-Fi technology and sophisticated DSP give you complete control over the tuning and performance of your system—from anywhere in the venue—via the free PRX Connect app. An efficient 1500-watt class-D amplifier and patented JBL Differential Drive® technology provide best-in-class power handling while greatly reducing system weight. And the rugged all-wood cabinets feature a redesigned input panel and universal power supply for easy, reliable operation at gigs worldwide.